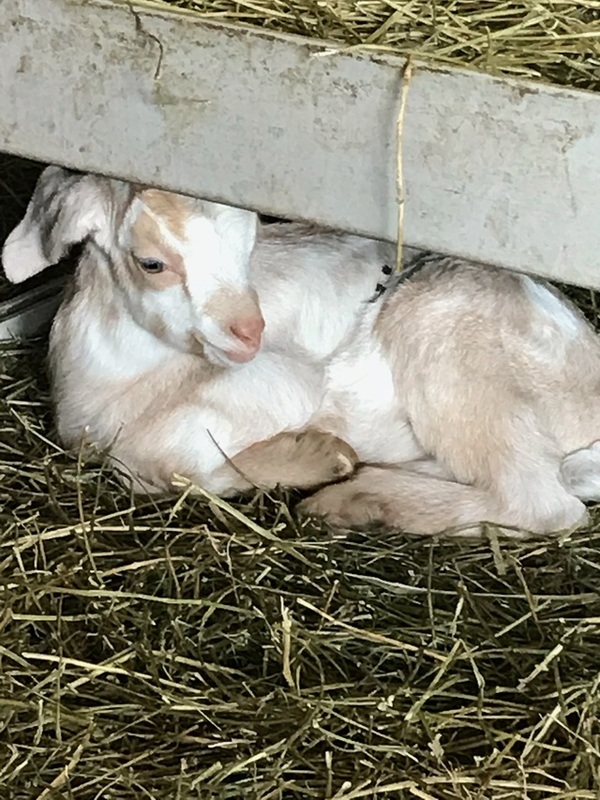 Goatzz: Soggy Hill Farm is a farm located in Bloomfield, Indiana owned by Eldon Westhausen and Renee LeFever. 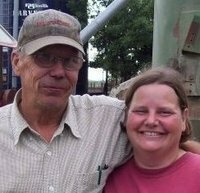 Eldon and I first started in goats when I moved to Minnesota and bought a small farm, Prairie Hill Farm, two miles down the road from his farm, Prairie Slough Farm. One day I was telling my neighbor that I wanted to get guinea fowl. He told me, "Go down the road about 2 miles to Eldon Westhausen's. He has guineas he'll sell you." So I got $20 together and headed down the road to buy 2 guineas. I arrived in the yard with a German Shepherd tied outside of the house so I didn't dare approach the door. But I figured she was barking so loud anybody on the place surely knew I was there. Sure enough before long Eldon comes walking in from the pasture. He took me to the guinea barn and had me pick out 2 guineas. Then he offered to show me the barn kittens in the shed and the bison calves in the corral. I told him I was interested in getting Pilgrim geese and Muscovy ducks as well as Boer goats. He invited me to go to a bird auction with him on a coming weekend as long as I could be prompt at the early hour. I told him I would be there on time and took my guineas home. The weekend of the bird auction came, and I showed up on time as promised. At the end of the day, Eldon treated me to KFC on the way home, I had my Muscovy ducks, and he invited me to the hooved animal auction at the same place next weekend. This time I went home with a Boer-cross doe and a Nubian doe. That was a Saturday. The next day Eldon came over to my house to help me fix up the fence to keep those goats in, and that is when he fell in love. After dating for about 6 months, I said yes to his offer of marriage, sold my little farm and moved my growing menagerie including a one-legged Peacock he had given me to join his bigger menagerie. Then after about 7 years of wedded bliss I had quite a nifty little Boer-cross commercial herd of goats going. But then I got a new job which was going to entail a lot more travel so I advertised my goats to cut the numbers some. I only got one response to my ad. A teenage girl wanted to start raising goats on her dad's cattle farm so they came and bought the whole herd. I don't know, but I heard they had pretty good luck with my little herd of Boer-cross goats. 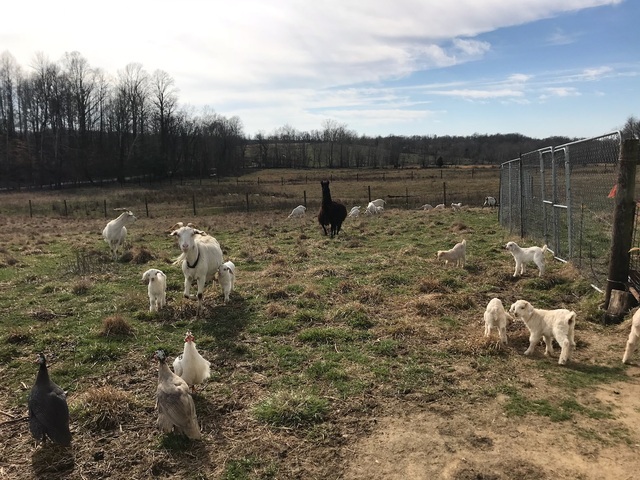 After a couple of years of travelling a lot, with Eldon occasionally travelling with me, he started to complain that the brush was growing up on the farm, and we needed to get some more goats but not Boer he said. 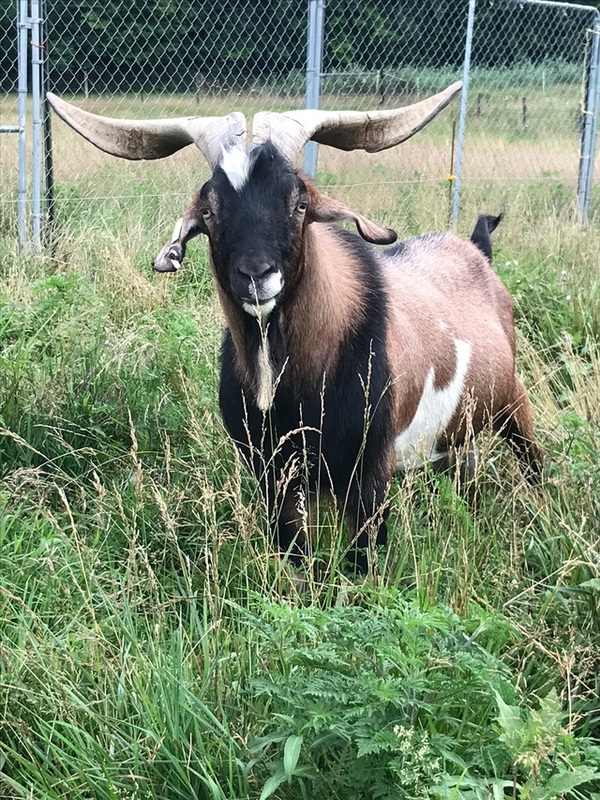 He had heard of this Kiko breed and thought they would be a better goat for the climate in MN. We bought some ¾ Kiko does in Iowa and then a 100% New Zealand buck from eastern MN, and we were on our way. A few more years and I got a job here in Indiana so we moved down here where the climate is warmer and wetter. Now we own Soggy Hill Farm, a little farm on the side of a soggy hill. 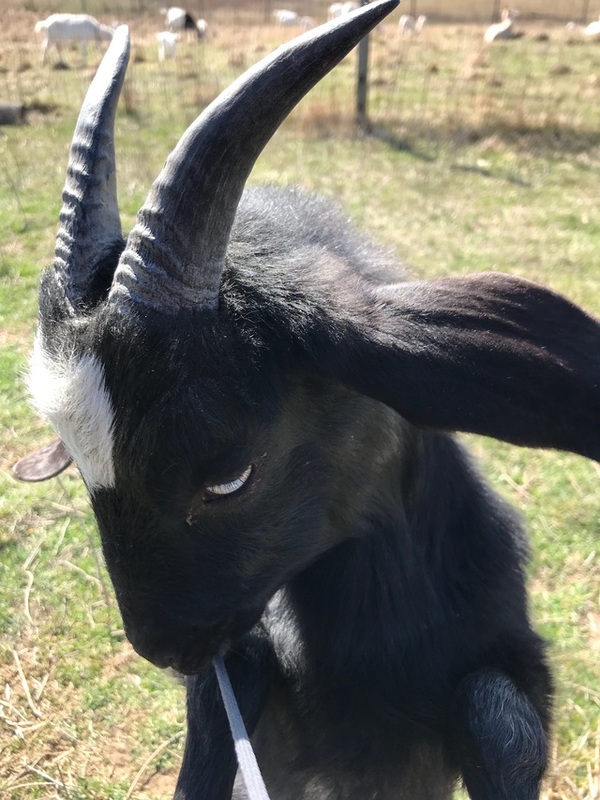 Our fine herd of 100% New Zealand Kiko goats continues to grow and improve so if you are ever in the area, give us a call and drop by for a visit. Our barn door is always open.